STEVEN G. TERAOKA is the Managing Partner of Teraoka & Partners LLP, a San Francisco based international corporate law firm specializing in domestic and international transactions. Mr. Teraoka has been practicing law for the past 43 years as both a business transactional and trial attorney. He now serves as a counselor and general counsel to multi national Japan and European based companies. 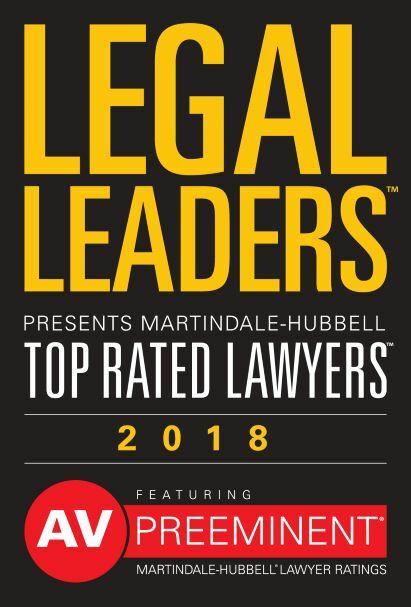 Since 1988, he has been rated as an “AV” attorney, the highest rating for superior legal competence and ethics issued by the Martindale-Hubbell Directory, a worldwide compilation of attorneys. 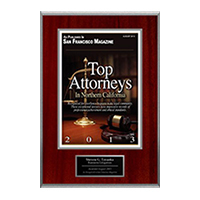 Mr. Teraoka has been recognized, and featured in the August editions of San Francisco Magazine as one of the Super Lawyers of Northern California annually since 2008. 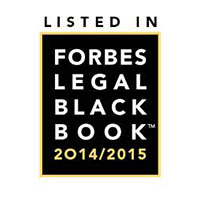 In 2015, he was named an elite attorney in the Forbes Legal Black Book. 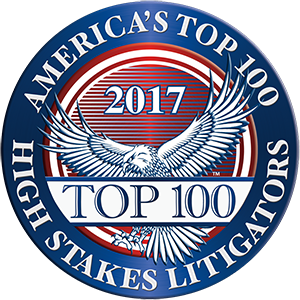 In 2017, he was selected to be included in the Top 100 Highstakes Litigators for Northern California. He worked as an associate with the San Francisco law firm of Burden, Reis, Eikan & Krinsky, a boutique law firm specializing in corporate securities, real estate, tax and litigation. Mr. Teraoka continued his work in corporate securities regulation and real estate, and during the economic downturn in the mid 70’s, he developed litigation skills. Over the course of his career, Mr. Teraoka tried jury trials, one of which included a six week jury trial in Los Angeles County involving franchise litigation, resulting in a favorable verdict of more than $450,000. He co counseled a 53 day jury trial regarding a complex international construction contract dispute in Alameda County, resulting in a favorable net verdict of $1.3 million. The latter involved a contract negotiated in Germany, drafted by an attorney in Tel Aviv, signed in Korea, performed in South Korea and Oakland, and applied California law. In addition to other trial work, Mr. Teraoka has tried bench cases, argued appeals to the Ninth Circuit Court of Appeals (BAP), and arbitrated and mediated numerous types of business cases, as well as tried administrative hearings before the California Public Utilities Commission. Mr. Teraoka’s leading precedent-setting case in California was In Re Western Travel Plaza, a case before the California Public Utilities Commission that deregulated motor carrier transportation regulation covering sightseeing operations in California in 1980. This landmark case was appealed to the California Supreme Court by opponents including the California Bus Association and other major transportation carriers, and review was ultimately denied by then Chief Justice Rose Bird. The ruling achieved by Mr. Teraoka became law in California motor carrier regulation in sightseeing operations, and opened the way for tour bus carriers to competitively serve the Bay Area. Mr. Teraoka’s initial calling has and continues to be in business, real estate, corporate and cross-border transactions, particularly between the United States and Japan. Utilizing his experience in the entertainment business, Mr. Teraoka has represented various business and advertising agencies from Japan that have used Mr. Teraoka’s service and experience to procure licensing and merchandising agreements with American celebrities for commercial use in Asia. As an example, Mr. Teraoka has procured IP licensing rights from American entertainers and celebrities ranging from The Carpenters, Cheryl Ladd, Farrah Fawcett, Steven Spielberg, Sammy Sosa, to name a few, all in cross-border licensing and commercial endorsement engagements in Japan. Mr. Teraoka has a broad, diverse background in legal matters, with the added involvement in cross-border issues, which makes his experience unique and advice valued by larger growing businesses. He is currently outside general counsel for Kikkoman Sales USA, Inc. and JFC International Inc. (formerly Japan Food Corporation). The firm has performed work related to Japanese animé and the Pokémon® phenomenon, helped Sega® in business acquisitions, assisted Nomura Research® and its U.S. affiliates in corporate structuring, and has negotiated TV agreements to broadcast LPGA® tournaments in Japan. He served as chairman of the Government Relations Committee of the Japanese Chamber of Commerce of Northern California for 14 years. Prior to serving in this capacity, Mr. Teraoka was the Past President of the Japanese Chamber of Commerce of Northern California in 1994 and was active in welcoming the Emperor and Empress of Japan to San Francisco. He has also served from 1996 to 2008 as an Executive Board Member on the Board of Directors of the California International Relations Foundation in conjunction with the California Senate Office of International Relations. He was a member of the Asian Pacific Business Advisory Committee under Senate Subcommittee on Asian Trade & Commerce, California State Senate, chaired by former Senator Hilda Solis (1995-2000). Periodically, Mr. Teraoka has testified on behalf of Japan industry in California before both California Senate and Assembly committee hearings. He has traveled on numerous Senate delegations to Japan, accompanying California legislators and representatives of the Governor’s Office. In the 1996 inaugural Japan trip, his delegation met with former Ambassador Walter Mondale. That meeting with Ambassador Mondale served as a catalyst to initiate the California Japan Scholar Student Exchange Program, which has exchanged over 600 students between California and Japan. Mr. Teraoka remains active in the promotion of this program. Mr. Teraoka is actively involved in other community and professional organizations including, among others, The Lawyers’ Club of San Francisco, The Commonwealth Club of Northern California, Keizai Silicon Valley, San Francisco-Osaka Sister City Association Board Member and the Japan Business Association of Southern California..
AV Rated by Martindale-Hubbell Law Directory, the highest rating for competence and ethics issued for attorneys for over 25 years. Ranked in the top 5% of attorneys in Northern California as one of the "Northern California Super Lawyers" annually since 2008.